I expected more of a reaction the first time I hit her. She just lay on the floor, holding her jaw. Staring at me. Silent. She didn’t even seem to be surprised. I was surprised. I hadn’t planned to do it. Usually when you hear about this kind of thing, it is the 1950s, and the husband comes home drunk to his slovenly wife from the pub and finds that his dinner is cold. On the contrary, it was November 12, 2011, a wintry Saturday evening on a south Dublin avenue, and Alice had prepared a delicious meal: lamb tagine, served on a bed of couscous, with pita bread and a side dish of mint yogurt. Though the lamb was a tad lukewarm by the time she presented it, I really couldn’t fault it. I had washed the meal down with two glasses of Sancerre while Alice prepared the raspberry roulade for serving. I certainly wasn’t drunk. But now, here she lay, the lower half of her body nearly hidden behind the legs of our mahogany dining table, her arms, head, and torso curled inward like a question mark. How had she fallen into that shape? There must have been considerable force behind my closed fist. If the glass had been in my hand, would I have stopped and put it down before I hit her? Or would I have smashed it into her face? Would it have shattered on contact and torn her pale skin? Could I have scarred her for life? It’s very hard to know. The words that come to mind are “circumstances beyond our control.” I emphasize the word “our” because, although I should not have done it, she really should not have provoked me. The phone rang. Maybe I should have ignored it, but it might have been important. These rhetorical questions irritate me. “How are things,” indeed. Sorry, Moya, I’ve just punched Alice in the face, and she’s lying on the floor. And we’ve had a marvelous dinner. Of course, I didn’t say that. I made some ham-fisted attempt at an excuse and bade her farewell. I waited for the reciprocal adieu. Go away, you stupid, irritating woman. I didn’t say that either. I told her that now was not a good time. She tried to inveigle me into a conversation, prattling about her new life in France. Even amid the turmoil, I could tell that she wanted me to be jealous. Bloody Moya. I ended the conversation politely but firmly. I thought that the decent thing for me to do was to leave the house immediately. Not permanently, you understand. I thought there was more chance of Alice getting up off the floor if I wasn’t looming over her. I went to get my coat from its peg in the hall. It was a little difficult to fasten the buttons. My hands suddenly seemed to be too large for my gloves. Two hours later, I was on my third brandy in Nash’s. Nervously I buttoned and unbuttoned my shirt cuffs. It is a habit from childhood, a thing I do when I am distressed. Even John-Joe commented on my rattled demeanor when he served me. Brandy would not have been my normal tipple. But I had had a shock, you see. Now I was drunk. I wanted to phone Alice to see if she was all right, but I had left my cell phone in the house in my hurried exit, and I thought that perhaps borrowing somebody’s phone would make a bigger deal of the situation than it warranted. Don’t get me wrong, I knew it was serious. A significant error of judgment had been made. She should not have ended up on the floor. I am aware that I am not the easiest of people. Alice has told me so. I have no friends, for example. I used to, many years ago, but that really didn’t work out. We drifted apart and I let them go—voluntarily, I suppose. Friends are just people who remind you of your failings. I have several acquaintances. I have no family either to speak of. Not in the sense that matters. Over the years, Alice has never pried, has never been too curious. In fact, I would describe her as habitually obedient with just an occasional rebellion. I am not, have never been, violent. I went to the bar and bought a packet of cigarettes. Strong ones. I was worried that my hands were still unsteady. Isn’t brandy supposed to help at a time like this? Or is that an old wives’ tale? Old wives. Outside in the “beer garden” (a yard with half a roof beside the front door), I lit my first cigarette in years. Barney Dwyer, a neighbor from the Villas, approached from the public bar. Barney spent more time in the beer garden than inside the pub. “Thought you quit?” he said. Here we go. Barney prided himself on his forty-a-day habit. When the smoking ban was introduced, most of us did our best to quit. I am proud to say that I was the first to succeed. I became known as the man with a “will of iron.” Barney, on the other hand, made no such attempt. If Barney had never smoked, he would have started the day the ban was introduced. A contrary bugger if ever there was one. Thin head, big ears. I threw my almost-smoked cigarette on the ground. Stamped on it. Tossed the packet containing nineteen cigarettes at Barney. My wife had finally brought out the worst in me. It was most unexpected. I had always been fond of her, in my way. She was a marvelous cook, for example, after all the gourmet cuisine courses I made sure she attended. Also, she could be very athletic in bed, which was nice. It is terribly sad to think of such things now, considering her current state. We met at the launch of a book she had illustrated back in 1982. My agent wanted me to meet her. He had suggested that she could do the illustrations for a children’s book I’d written that he was pushing around to publishers. I resisted the idea of illustrations initially. They would just distract from my text, I thought, but my agent, I admit it, was right. The drawings made my books far more marketable. We were introduced and I like to think there was an immediate . . . something. “Spark” is not the right word, but an acknowledgment of sorts. Some people call that love at first sight. I am not so naïve. Neither of us was in the first flush of youth. Both in our late twenties, I think. But she was lovely in a soft way. I liked her quietness and she made little or no demands on me. She just accepted whatever attention I gave her and then withdrew into the background without complaint when I didn’t require her presence. The wedding happened very quickly. There was nothing to be gained by waiting around. Her frail mother and half-witted brother stood behind us at the altar. No family on my side, of course. We didn’t bother with the palaver of a hotel reception. We had a rowdy meal in a city-center bistro owned by a former college friend, Michael. Barney was there. Back then I quite liked him. He was very emotional at the wedding, more than anybody else. One couldn’t blame him, I suppose. I became quite well-known as a critic and occasional scribe for the weekend newspapers and for an infrequent guest spot on televised talk shows. In those days, everyone was more discreet and low-key about their achievements, their successes. Not like current times—I can’t tell you how often in the last decade I was approached about partaking in a “reality” show. Heaven forbid. Alice avoided all of that, which suited me really. She didn’t like the limelight, and she underestimated her own contribution to the success of my books, insisting that my work was more important, that she was just a doodler. She was timid and didn’t even want it known that we were a husband-and-wife team in case she would be “forced onto television.” Rather sweet, and it meant that for a lot of the time I could continue my life as a seemingly single man. It had its rewards. Truthfully, she couldn’t have been a better partner. I used to make excuses to avoid visiting her and her doily-draped furniture. Used to pretend to be too busy to eat with them when she came to visit us. It was never pleasant to witness her struggling with her dentures, the half-wit dribbling by her side. Her death was a mixed blessing. We got the house. But we also got Alice’s imbecilic brother. The house is quite a pile on Pembroke Avenue. The brother goes by the name of Eugene. Alice begged me to let her keep him. Until now, that was the biggest upset in our marriage. Bad enough to have a child, but this was a twenty-seven-year-old, two-hundred-pound dolt we were talking about. Eventually I had him accommodated in a home for the “mentally handicapped,” or “special needs,” or whatever they are calling them this year, at considerable personal expense. Of course, five years into our marriage, Alice began to whine and grew more shrill with each passing month. I reminded her of our agreement. She claimed that at the time, that was what she had wanted too, but now she desperately wanted a child. I am nothing if not a man of my word. I haven’t exactly been a saint within our marriage. Women, by and large, are attracted to me, and I do not like to disappoint them. Women you would never expect. Even Moya, for God’s sake. I eventually resent the ones who try to cling. In later years, I had begun to satisfy myself with some tarts that operated near the canal. I never objected to them, even before I became a client. They were objects of curiosity. They were cheaper and more desperate, mostly addicts with raddled bodies and ropey veins but perfectly adequate for my needs. I would order them into a shower before any congress was allowed and I always provided a new toothbrush. Some of them took it for a gift. Pathetic. They are usually too emaciated to be good-looking. One would think that they might make an effort to make themselves attractive. Alas, they were only selling their various orifices; the packaging was immaterial. But still, they held a fascination for me. After all, my mother was one, or so my father said. Returning to the house on the night Alice pushed me too far, I fumbled with the key in the door. I stepped into the dining room. She wasn’t on the floor, thank God. She was sitting in the kitchen, nursing a mug of tea. Her hand rubbed at her face. She looked at me without affection. I noticed that her jaw was quite red on the right-hand side. No bruise. Yet. I looked at her. Smiled. The wooden box in which I had locked away my darkest secrets lay open on the table in the hall, its lid agape, lock smashed, contents violated. “Liar!” she said, her voice breaking. It was clear that she intended to ruin me. The second time I hit Alice, I just couldn’t stop. I am very sorry about that indeed. I have been in control of my life since I was eighteen years old, and to lose control is a failing. Needless to say, I am not allowed to visit her in the hospital. It is silly really. It is February 2012, so it’s been three months now. In her condition, she wouldn’t know if I was there or not. It turns out that I am a violent man after all. It comes as a shock to me. I have been psychologically assessed. I decided to tell them almost everything. Apparently, I have been harboring bitterness, resentment, and frustration since my childhood. Now, there’s a surprise. What will the neighbors think? What will anybody think? Oliver Ryan, also known as the celebrated children’s book author Vincent Dax, is handsome, charismatic, and successful. Oliver’s stories are an international publishing sensation and illustrated by his devoted wife and professional partner, Alice. Their life together is one of enviable privilege and ease—until, one evening after a delightful dinner, Oliver delivers a blow to Alice that renders her unconscious and subsequently beats her into a coma. In the aftermath of such an unthinkable event, as Alice hovers between life and death, the couple’s friends, neighbors, and acquaintances try to understand what could have driven Oliver to commit such a horrific act. Oliver’s story unfolds in a psychological study of his mysterious past; the layers are peeled away to reveal a life of shame, envy, deception, and masterful manipulation. 1. Is Oliver a reliable narrator? Do you trust him more or less as a narrator as you learn more about him throughout the novel? Why? 2. Consider this passage from Oliver’s narration: “Apparently, you are supposed to learn the facts of life and the etiquette of how to treat women from your mother, or, failing that, your father. I learned instead by osmosis” (p. 31). What does Oliver fail to learn in his childhood about how to treat women? 3. How does the chorus of narrators bring Oliver’s character into focus? Is there any narrator that you would have liked to hear more from? Whose story isn’t represented among the narrators? 4. Why does Oliver not want to have children? Does his reason for not wanting children change throughout the book? 5. How might things have turned out differently for the characters of the novel if Barney hadn’t encouraged Alice to go away to a Greek island with Oliver? Do you think Oliver and Alice would have still gotten together? Why or why not? 6. Do you think Philip and Oliver’s father, Francis, was a good father to Philip? Was he capable of being a good father? 7. Family means very different things to Madame Véronique and her father, Monsieur d’Aigse, than the conservative Irish in the book. Why does Véronique choose to have Jean-Luc out of wedlock? Consider how Oliver’s father, Laura, Oliver, and others would have approached the same situation. 8. Oliver says he truly felt like a father to Jean-Luc. Do you think Oliver knows what a father is supposed to be? Does he know what being a father is supposed to feel like? Why or why not? 9. Why do you think Laura and Oliver’s relationship disintegrates? What role do the events of the summer in Bordeaux play? What role does Oliver himself play? 10. Oliver laments, “How could I even begin to explain that I only meant to be a hero, and not a murderer?” (p. 231). Do you believe him? Why or why not? Does he take responsibility for his actions? 11. Many of the parents (Mrs. O’Reilly, Monsieur d’Aigse, the Condells) in the book are only trying to guide their children into fruitful relationships, safe marriages. Who is successful at this end? 12. Father Daniel tells Oliver the story of his mother, the little that he knows. Does that make a difference? Does Oliver believe him? Would you have believed Father Daniel’s story? 13. Madame Véronique and Alice both discover the secret of Oliver’s locked box. Did you guess his secret? Why do you think Oliver did what he did? 14. Which characters are ultimately undone by family secrets? Could any of them have been saved by forgiveness? Who, and why? 15. What lengths will Oliver go to in order to protect his secrets? Does he make the right choice in keeping his final secret in the epilogue? Is that his redemption? Why or why not? 16. Do you think Oliver would have grown up to be a monster if he had a normal childhood? At what point did his life turn bad? Which decisions could he have made differently? 1. The Prince Sparkle stories make Oliver, aka Vincent Dax, an international publishing sensation. Some say that they are metaphors for good and evil, allegorical references to the tragedies of WWII. Who would the main character be in your own illustrated series for children? What lessons or morals would you want to teach to children? 2. Unraveling Oliver won the Crime Fiction prize in the 2014 Irish Book Awards. Explore other Irish crime novels, such as Tana French’s Dublin Murder Squad series or John Connolly’s Every Dead Thing, with your book club and compare similar themes between the books. 3. 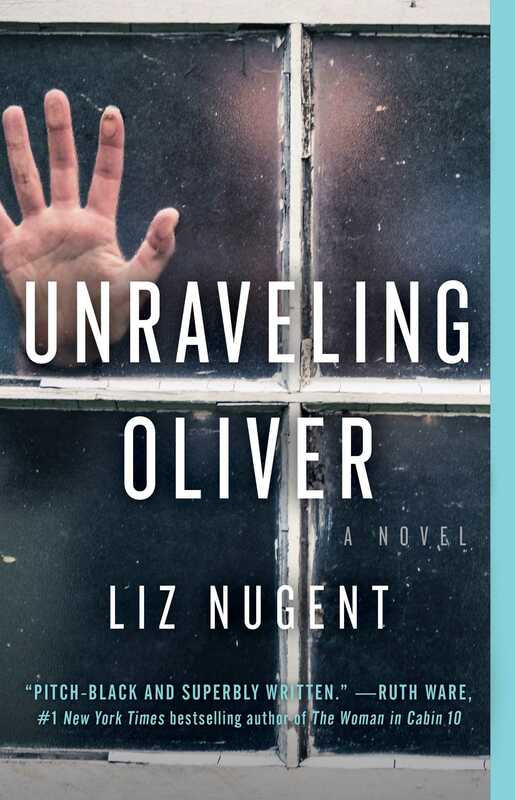 Unraveling Oliver is Liz Nugent’s first novel. 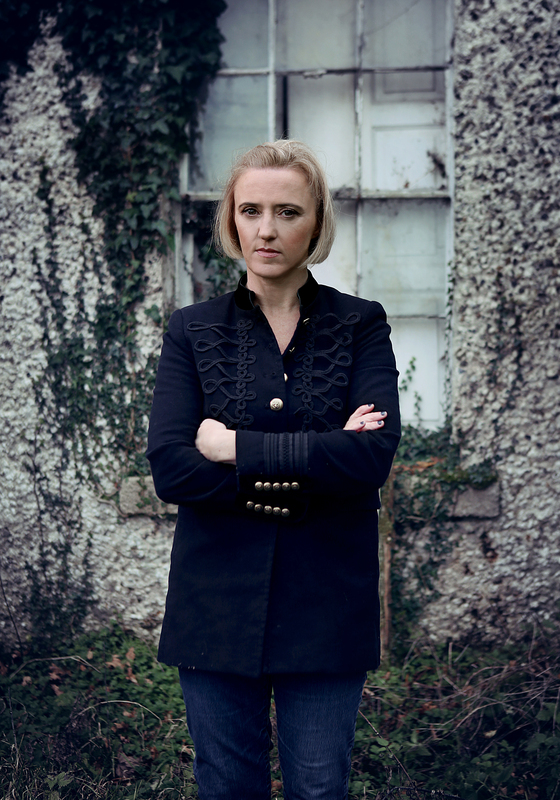 Learn more about the author by visiting her website (http://www.liznugent.ie/), and following her on Twitter @lizzienugent. 4. If Alice were to narrate a chapter, what do you think she would have to say?